Dramatic, profound and far-reaching changes are being visited on schools worldwide that have their genesis a long way from the classroom but which impact heavily on teachers and their work. Most of this reform has been achieved with little or no involvement of teachers themselves. This book sets out to survey the contemporary context of what is happening to the work of teaching, and focuses on Advanced Skills Teachers. It shows how teachers are 'speaking' the changes that are occuring to their work in protracted economically rationalist times. 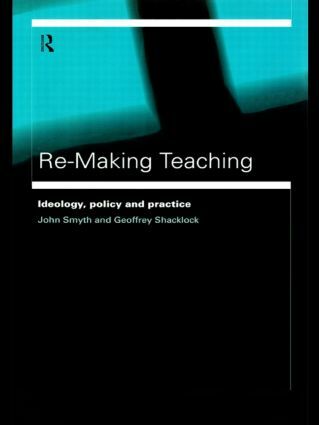 Arguing against the discourses of economy as the major shaping force, the authors present a persuasive case for focusing on the discourses of teaching itself as the only feasible and adequate basis on which to make sense of teaching. And by presenting a range of voices of practising teachers - allowing them to speak for themselves about the difficulty of trying to translate policy-makers' intentions into words and actions - the book graphically illustrates the devastating long-term consequences for the future of schools of poorly-conceptualised reform policies.